The cities of Allentown, Bethlehem, and Easton have a strong industrial and working class heritage, anchored by the enormous Bethlehem Steel works. The gigantic 500-acre mill complex, abandoned 20 years ago, and is still a formidable presence just south of downtown Bethlehem, and is likely to evolve at least in part to a preserved national park site celebrating our industrial heritage. The rest of the area is a center for mostly old-economy manufacturing with the Lucent Technologies spinoff Agere adding a not-too-prosperous high tech element. Binney & Smith, known worldwide as the maker of Crayola crayons, has its factory in the smaller Easton east along the Lehigh River. But these legacy industries are no longer the whole story. 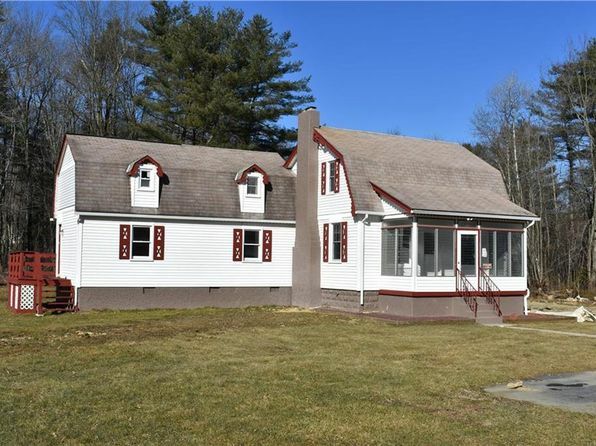 The area is strategically located, 90 miles west of the New York area and even closer to many prosperous and busy areas in New Jersey. Combined with higher education facilities in Bethlehem, notably Lehigh University, the area is starting to draw people to the city seeking a slower pace of life, lower costs, and a distinct city with a strong sense of place. Bethlehem brought workers into the area from central Europe, and the area has a distinct German and Moravian architecture and feel, especially Bethlehem but also in Easton to a lesser degree. Downtown Bethlehem is clean, attractive and walkable with small businesses, historic interest, some arts amenities, and a minor college town feel. Stately older homes lie just east of downtown, with more rural and attractive homes further east and north. 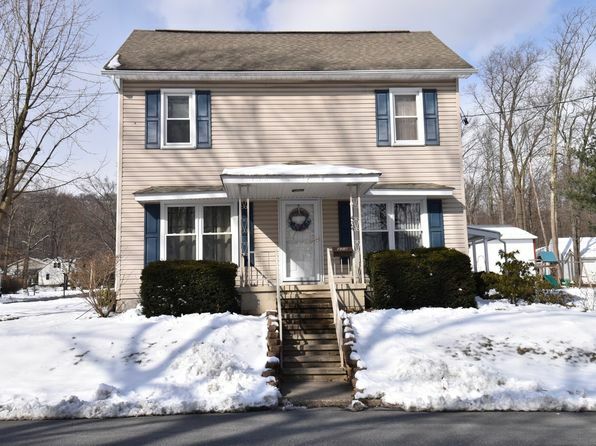 Allentown is the largest and plainest of the three cities, and there are large numbers of good older homes available to be fixed up or modified. There is some commuter bus service today in the New York direction, and we expect these services to expand into rail service someday. As a combined result of all of these forces, the area is attracting more small businesses, individual entrepreneurs and telecommuters needing the big cities only occasionally. The three cities are located about 12 miles apart in the Lehigh River Valley between mountain ridges running southwest to northeast. The climate is modified continental with moderate temperatures and dependable precipitation. Summers are hot and can be uncomfortably humid. Winters are comparatively mild with the numerous mountain ridges providing some shelter from cold air and winds from the north. Temperatures above 100 degrees or below 0 degrees are infrequent. Mountain effects make winters warmer and more comfortable than those of Philadelphia, 50 miles to the south. Summer thunderstorms are often heavy. Snowfall is variable, and cool air trapped in the valley can cause freezing rain. Snowmelt and spring rains create a flood threat. First freeze is mid-October, the last is late April. The median home price in Wind Gap is $204,900. Browse Homes in this Range. 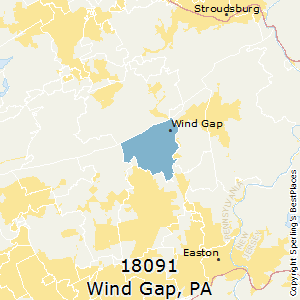 Compare Wind Gap (zip 18091), Pennsylvania to any other place in the USA.